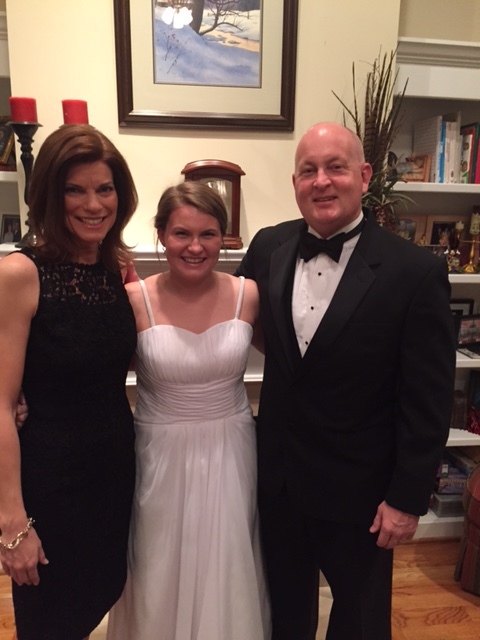 Carson is headed to the West High School Prom tonight. It’s been a day of preparation…the dress, hair, nails and the flowers. No detail has been overlooked by Carson or Hollianne. It’s the latest of a series of milestones in Carson’s quickly-passing high school years. But let’s be honest. I think that Carson looks great everyday. She’s a kind, fun and confident young woman…and her attitude makes her beautiful even when wearing her basketball sweats or shorts and a t-shirt. I’m a bit biased, of course. But being around her just makes me feel good. Carson shines from the inside. Aren’t there people in your life who seem to radiate with positive energy? It’s their inner beauty that draws us to them. Our call is to develop the inside. Work on those qualities that can purify our heart and bring eternal rewards. I’m grateful for the inner beauty that surrounds me everyday. It inspires me and makes me want to be a better person. My prayer today will be for us to seek the inner goodness in those around us. And pray for me to be a good father to Carson as she continues to march toward maturity. That was just beautiful. I can see the inner most beauty in your family each time you post pictures and updates. God has given you the best and I will pray for you to be the best father you can be. As I would like for you pray for me to be the best mother I can be. Have a wonderful week.